Some seem to get away with inflicting pain on others with no punishment in return. 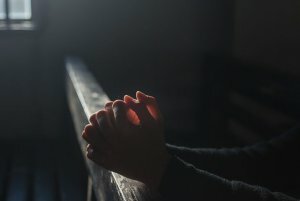 Has God turned His back on the recipient of the pain? 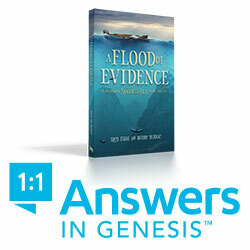 This study addresses these questions and more. It helps us gain an understanding of God’s perspective on our struggles. 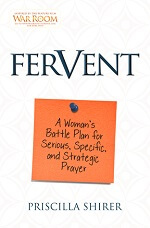 In this study, we learn how to respond during these challenges and find hope and endurance to the end. Week One – Does our relationship with God provide protection against suffering? Week one takes a look at scriptures from 1st and 2nd Thessalonians, written by the apostle Paul to the church at Thessalonica. We get to see these believers as they are dealing with difficult circumstances, yet they are persevering. Perseverance comes from the Greek word hupomone which means patience or endurance in difficult circumstances. This word indicates that the Thessalonians were not surrendering to their circumstances. Kay has us take a look at the meaning of the words faith and endure in these Scriptures. It is important to understand the meanings of the words used in the Scriptures. The culture and the language and the meaning as it was written, not as we think, are very important in understanding the true meaning in the Scriptures. In this week we look at other words such as persecutions, afflictions, suffering, afflict and afflicted. How will you respond to suffering? Escape or Perseverance? Week Two – The Life of Paul – Why believers suffer and in what forms? Week two takes us to Acts 9 and 13, 2 Timothy, 2 Corinthians, Romans 8. Kay always takes us through the Bible to Scriptures that validate Scripture. This an important part of learning what the Bible says and that God tells us multiple times in multiple ways what He wants us to hear! This week we take a hard look at the apostle Paul, and the suffering and persecution which fell on him and his perseverance . Paul was an example to all the apostles and believers who crossed his path. He is an example to us. He taught Timothy how to he was to behave as a believer and a minister. Week two takes us to so many Scriptures which show us how the apostle Paul and those with him suffered and stayed in the Faith, trusting in the Lord to be their strength. Will you trust in the Lord to be your strength? Week Three – Why did God allow Paul to suffer and why does He permit pain in Our lives? Week Three begins with John 15, and takes us to 1 Peter, Matthew, Hebrews and Psalms. All Christians will suffer persecution. It is not personal. Kay goes on through other Scriptures which teach us that we are not to be ashamed when we suffer. We are to entrust our souls to the faithful Creator in doing what is right. It is better to suffer for doing what is right rather than what is wrong. Romans 8:18 says ‘For I consider that the sufferings of his present time are not worthy to be compared with the glory to be revealed to us.’ This world is temporary for our homes are in Heaven! Does your response when you are suffering honor God and demonstrate your faith? Week four begins with Job. Yes Job! If you have never studied Job, this gives you a taste of what Job went through, and he was a ‘blameless and upright man, fearing God and turning away from evil.’ I won’t spoil it for you by going into all that Job went through, you have to read that on your own! Just know that through it all, Job never denied God, nor blamed God. Kay teaches that we may not always understand why we have to go through trials and difficulties, but we can trust God is working out His purposein our lives and using our experiences for the benefit of others. Week five begins in John 14:1 ‘Do not let your heart be troubled:believe in God, believe also in Me.’ These were instructions from Jesus to His disciples. Kay takes us to Psalm 37:39-40, ‘But the salvation of the righteous is from the Lord; He is their strength in time of trouble.’ She then brings us to other Scriptures which continue to show us God’s character and who He is, what He wants us to do when we have troubles. We learn the meaning of banner in Psalm 20:5 and Exodus 17 (The Lord is my Banner, or Jehovah-Nissi). We learn this is true for us today. We are to run to God, as the Lord, our banner, in His strength we will find victory in our difficulties. God is in control of everything. His will will be done. This week is a long week, full of wisdom and Truth! So much meat is packed into this little Bible Study! Where do you run in times of trouble? Week six, the last week of this Study, begins in 2 Chronicles 20:2-12 with the story of Jehoshaphat. 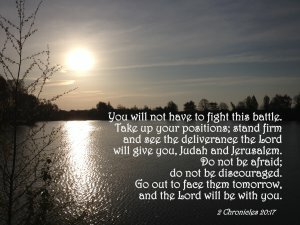 Jehoshaphat was afraid. A great multitude was coming against Him. What did he do? I won’t tell you the ‘end of the story’. I’ll leave it to you to read the Scriptures or perhaps do this Bible Study. The link to the picture of the book will take you where you can purchase the book. If you purchase from the link we may receive a small commission. Excellent Bible Study. Inexpensive book. Doesn’t require a lot of time, but well worth the effort! 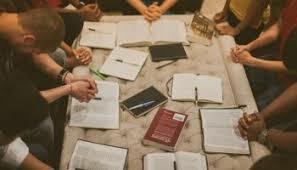 Gather a group together and study in a small group. Discussion with other believers is always beneficial. This was shared with me by my Mom at a perfect time…right when I needed to hear it. God has not let us go, He does not drop us off and leave us because we struggle. The whole point of any struggle to me, is to turn to Him for EVERYTHING! I say this for myself as well because, statn wins when we go negative and the enemy wants us to believe that God is not faithful. Nothing could be further from the truth! I agree. It is all about Him, not us. He wants us to turn to Him and to Trust Him and have Faith in Him. Tge way we get there is through drawing near in prayer and abiding in His Word. Thank you for your comments. Please share our blogs with ithers. Blessings. Truly enjoyed this study. This can be a touchy subject in some arenas and Priscilla handles it with great integrity and successfully conveys that how we hear from the Holy Spirit is truly personal. I pray to Have God open the eyes of my heart and spiritual eyes and ears! Thank you for the comment Judy. 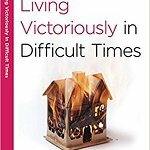 I pray many others will read this and do this study and learn more about how to live victoriously when times are tough.